Wow. 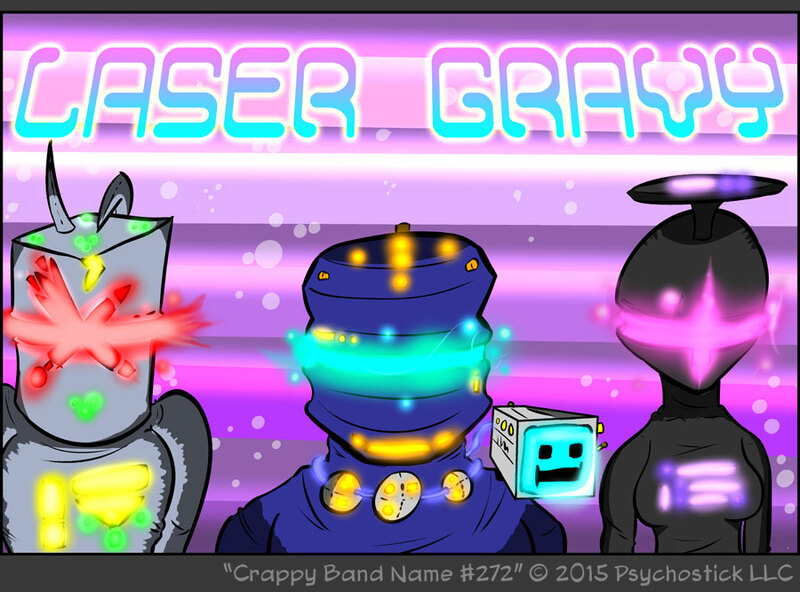 Went a little crazy with the color glowing layer effects here, but goddamn does it make sense for the mighty LASER GRAVY. Yet another random conversation with someone. Don't recall who. Just as a reminder, feel free to share this comic with peoples on Facebook and Twitter! That helps us out tremendously AND creates awareness to those who think that we're, "just a band."